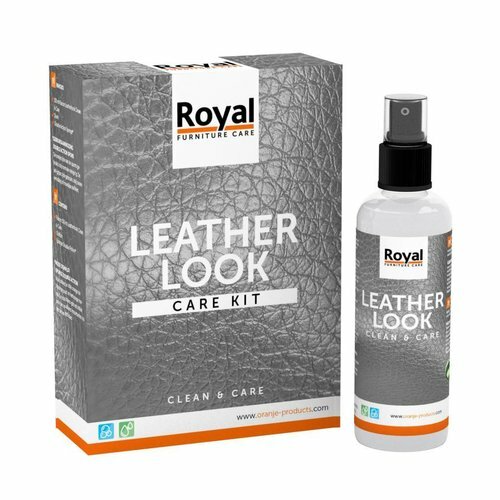 With this kit you have everything for the maintenance of leatherlook products. Whether it is furniture, shoes or handbags, you clean it with this set. Leatherlook is practical material with good protection against penetration of moisture and dirt. To keep leather look beautiful and clean, the Leatherlook Care Kit is an excellent choice. This unique set contains an effective and safe care product that cleans, refreshes and cares for your leather look in one treatment. The orange side of the sponge is used for normal cleaning. The white-gray side is used for heavy fulfillment or difficult stains.